A collaboration with Helen Simoneau Danse. 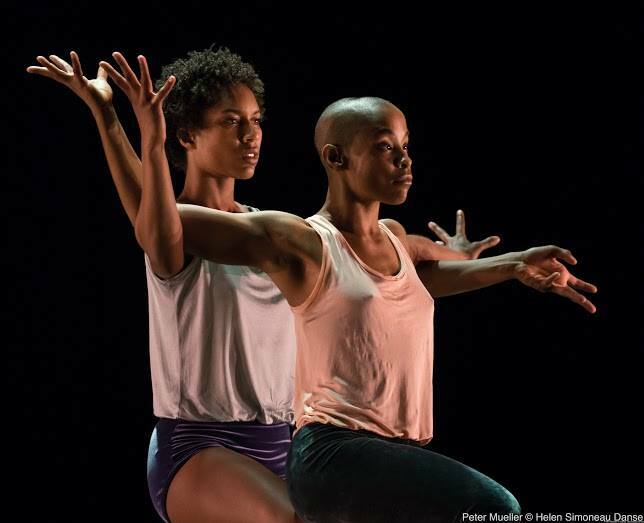 LAND BRIDGE, a new evening-length work by choreographer Helen Simoneau investigates heritage, assimilation and identity to reveal how the willing erasure of the self may serve as a means of renewal and redirection. Examined abstractly through the lens of caribou, the iconic and threatened species from Simoneau’s native Canada, this most powerful member of the deer family serves as a trail guide for the work. As a Québécoise living and working in the United States, the daughter of an Anglophone mother and Francophone father, Simoneau draws upon the duality of living between two languages to explore both immigrating and migrating forms. What is the impact of arriving and of departing? LAND BRIDGE considers the patterns and tendencies implicit in both human and animal behavior. This work marks Helen Simoneau Danse’s first evening length piece and first collaboration with highly acclaimed composer and flutist Nathalie Joachim who shares with Simoneau the experience of navigating acclimation. Drawing from a lifetime of embracing both her Haitian and American heritage, and the often delicate balance of such a duality, Joachim created an electroacoustic score that captures an intrinsic human quality paired with unapologetically synthetic sound. Her use of the human voice in song, breath and articulation throughout the score is representative of the importance of language and/or the lack thereof as it relates to cultural identity. The cyclical and recurrent nature of the electronics reflect engrained processes that carry through generations, both human and animal, despite their evolution. The score is a testament to standing softly yet with conviction in all that you are through the varying stages of life. Original Music: Composed, performed and recorded by Nathalie Joachim. Mixed by Tony Maimone of Studio G Brooklyn, assisted by Richard Salino and mastered by Fred Kevorkian.